« Rigamajigs, Personas and STEAM. Building and branding a lasting non-profit with playful themes… and having a lot of fun while we are at it. 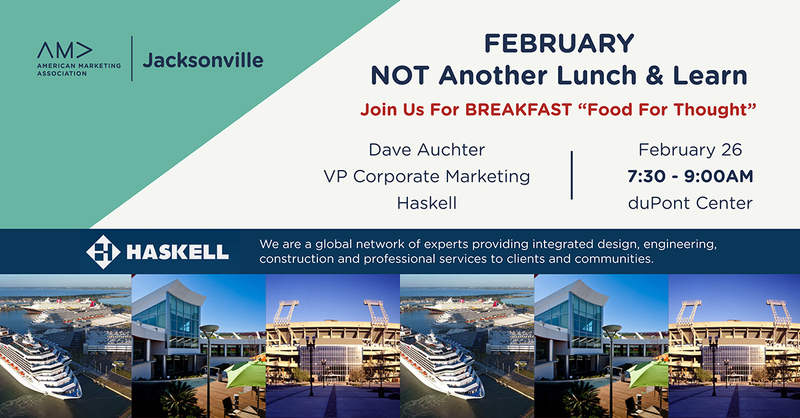 Join us for NOT another Lunch & Learn.We’re doing BREAKFAST “Food For Thought”. Dave Auchter is fourth-generation Jacksonville, Florida native with a passion for community building, both professionally and personally. His career has spanned professional football (NFL), golf (PGA Tour), healthcare, commercial real estate and construction. The common thread in these otherwise unique industries is an entrepreneurial passion for start-up operations, innovative business process, focused business growth and embedded conscious capitalism. Dave is a Shareholder, Officer and Vice President at Haskell overseeing enterprise-wide Corporate Marketing and Business Development, a responsibility that covers more than 20 global offices, 1,300 Haskell team members, six distinct Haskell brands and $1 billion in annual revenue. Dave also oversees Haskell Public Affairs including Corporate Contributions, both charitable and political. Dave has been privileged to serve in many public leadership capacities over the past 20 years. He Chaired the Downtown Development Authority and Design Review Committee under the Peyton administration. He is a past-President of the National Association of Industrial and Office Properties (NAIOP). He also served the Boards of the Jacksonville Symphony Orchestra, Jacksonville Public Library and many other volunteer boards and committees. 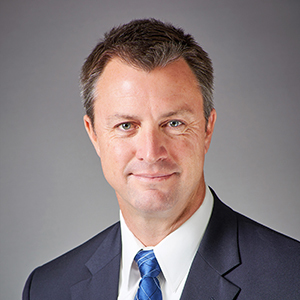 Currently Dave serves on the Board of the Jacksonville Sports Council (JAXSPORTS) and is a Volunteer Committee Chair for The Players Championship. Dave lives in Ponte Vedra and celebrated his 20th wedding anniversary this year with wife Katherine and their three children, Anna (17), Julia (16), and George (12).